There has been a few posts lately about nålbinding on a forum I sporadically visit. What got me excited was the link to Neulakinnas Nalbinding. What an impressive collection of instructions and videos! Yesterday I watched a few videos and felt really inspired to pick up my needle, select some yarn and start making something! Have you seen Sahras cute braided edge on her mittens? It looks complicated but I don’t think it is. 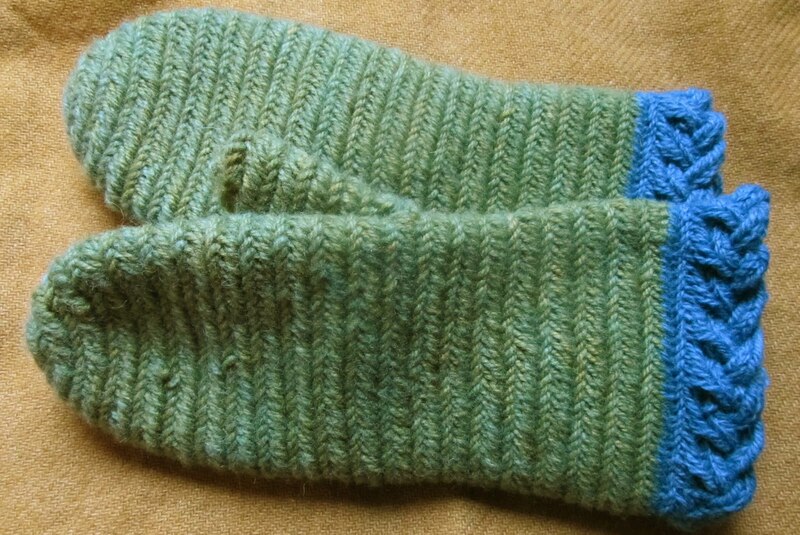 I definitely have to try this on my next pair of mittens.